This excellent industrial land is located in Nampa within one mile of three I-84 access ramps. Recently completed roads and utilities nearby. 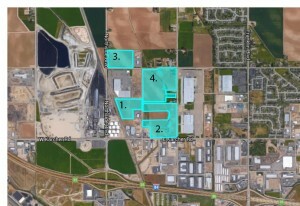 Portions of land adjacent to Union Pacific rail line have access potential. It is in an excellent location in the path of future growth with a large pool of qualified labor within the surrounding communities.